Another appointment was forwarded by PEAC - FAPE to the Office of School Director, Dr. Leo B. Galve to re-certify 5 private schools in Bohol on March 11-15, 2019. The re-certification program aims to determine if recipient schools comply with the DepEd minimum standards in order to continue receiving government assistance to its students. Flying early to Bohol on a Sunday morning together with a PEAC representative, Dr. Galve was fetched in the airport by the couch captain and a member of certification team from Cebu. Housed in Carmen Villa for three days, the group certified a congregational school and two parochial schools namely Presentation of Mary School of Clarin, Immaculate Academy and San Miguel Academy in Clarin, Duero, and Mayana. In the late afternoon of Wednesday, the team moved in Tagbilaran to stay at Bohol Sunset Villa and prepare to re-certify Bohol International Learning College and Arbasto Foundation in Dela Paz and Cortes on Thursday and Friday. The team flew back to Manila on March 16, 2019 reminiscing the hospitality and the warmth of the Bol-anon. 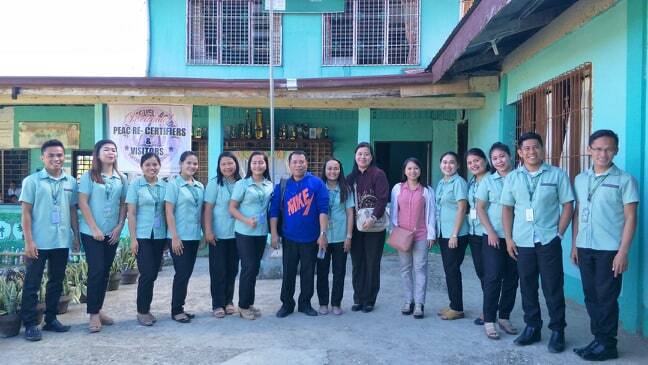 March 6, 2019, in time with the Ash Wednesday, 49 school employees of the Sto. 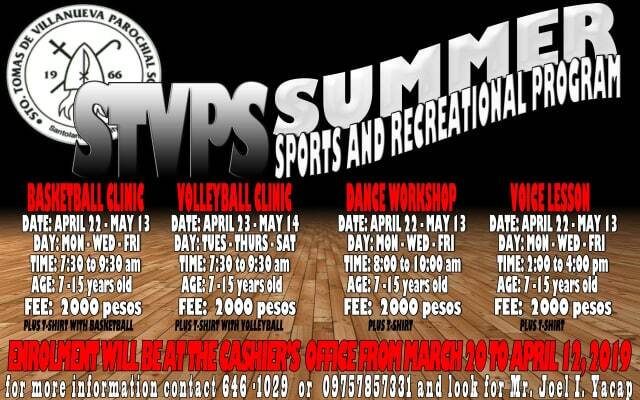 Tomas de Villanueva Parochial School flew from Manila to the city in the forest - Puerto Princesa. The group left the school at exactly 4:30 a.m. heading NAIA Terminal 3 to board Flight 5J-637. Excitedly, some personnel opted to sleep in school to avoid being left out together with the school principal who was also equally excited to be with the group. Despite the delay of less than an hour due to air traffic, the group flew under gentle sunrise and still winds. Upon arrival at the hotel, lunch and a short nap, the personnel were ferried to do the city tour. Before the day ended, all personnel had ashes imposed on them in the Mass at the Immaculate Conception Cathedral, Puerto Princesa. 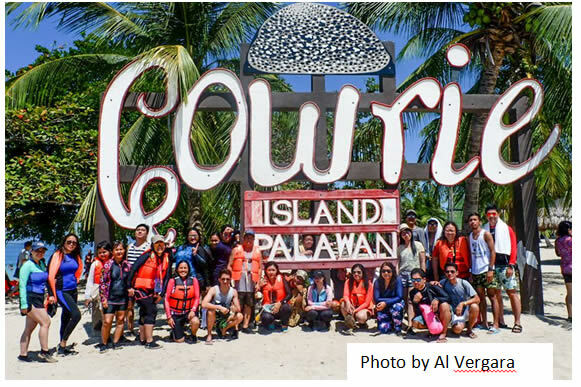 Second day was based on the interest and the budget of school personnel as majority opted to conquer Honda Bay through Chartered Tour, Do-It-Yourself Tour, and Private Organized Tour. All these means brought immeasurable joy to personnel who were ever-willing to be sun-burned while swimming on clear crystal waters together with colourful fishes. The sand bar, the food, the air and most importantly the fun of being together with co-workers made the experience extra special. 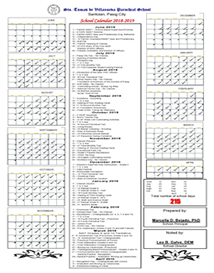 The third day was mostly spent on rest and self-regrouping prior to flying back to Manila through Flights 5J-644 and 5J-648. The entire school community is grateful to the Chairman, Bishop Mylo Hubert C. Vergara, and the members of the Board of Trustees for approving the proposal of an out-of-town trip for school personnel. This is the school's expression of thanksgiving to the personnel who have helped in improving the general performance and quality of education of the Sto. Tomas de Villanueva Parochial School. 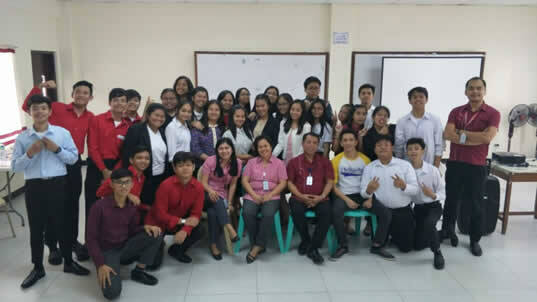 In preparation to present the final thesis paper in Grade 10, Grade 9 students of Sto. 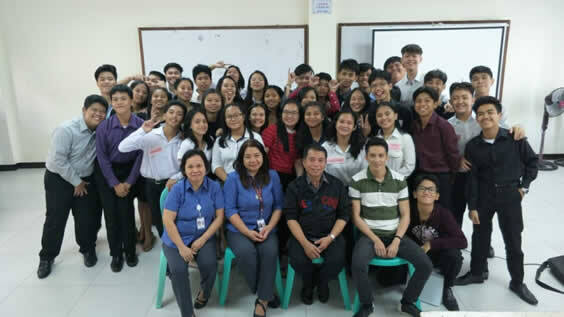 Tomas de Villanueva Parochial School presented their Thesis Proposals last February 11 to 13, 2019. The thesis proposals were presented to Dr. Leo B. Galve, Dr. Marcella D. Bejado, Ms. Maria Imelda M. Balabat, Mr. Alistaire Vergara, and Ms. Carlene Ann Huab as panelists. The Titles, supported by Chapter 1 - The Problem and It's Background; Chapter 2 - Review of Related Studies and Literature; and Chapter 3 - Research Methodology, were presented by group of students consisting of 6 to 7 members. All 19 titles passed the rigid scrutiny of panel for approval. The remaining 2 chapters shall be completed in Grade 10. Prior to writing the first 3 chapters, an adviser was assigned to assist the groups. This innovation improved the quality of the paper reducing technical writing limitations. 3. Technology vs. Old Fashion Way: A Study of the Teaching Style and the Comprehension Level of Kindergarten School Year 2018-2019 Marcella Bejado, PhD. Congratulations Grade 9 students. You have proven that with proper guidance and strong determination, you could make a Research Paper worthy to be published! 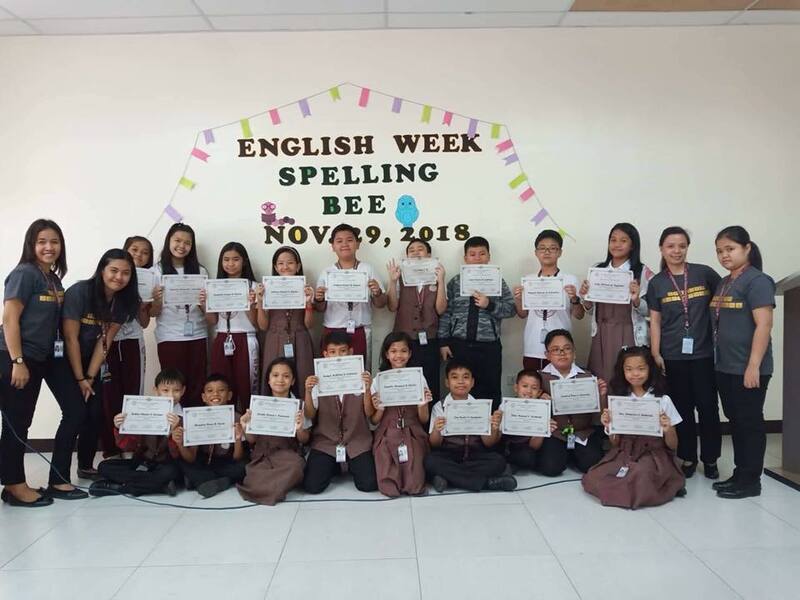 Last November 26-28, 2018, The English Department held its annual programs which were the Spelling Bee competitions for Kindergarten up to the Grade School level, as well as the Cosplay and Career Day for Nursery and Preschool. First activity to take place was the Cosplay presentation from the Preschool. The students were very happy as they presented their favorite cartoon characters. They were also enthusiastic and cheerful when they recited some of their favorite lines from each of their chosen character. Their parents were also present in the program and made sure that their children will have an instagramable photo. The Grades 1-3 also showcased their dream jobs with their own unique costumes. Their parents were very proud and very supportive as they witnessed their children stated what he/she wanted to be in the future. Each of the participants was given a certificate as a sign of their active participation in the said programs. Next to take place were the spelling bee competitions which happened in the afternoons of November 28-29, 2018. There were different categories for specific levels. The Kindergarten had its easy, moderate, and difficult rounds, while the Grade School level had its easy, average, and difficult rounds. The quiz masters were Ms. Ann Margaret Genato and Ms. Alanis Rempillo. The participants really gave their best and were all feeling great as they joined the competition. The Spelling Bee for the Grade School level had a tie breaker since all the participants were very eager to win.